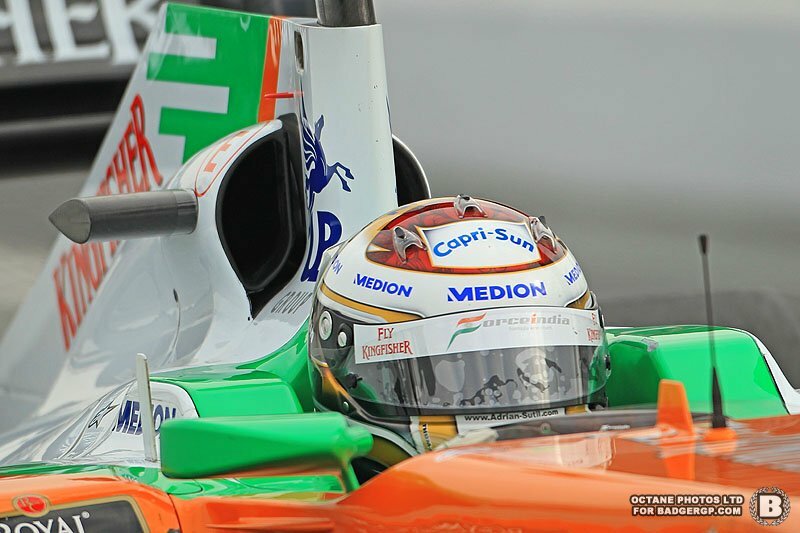 Force India’s Adrian Sutil is to face criminal charges over an incident following the Chinese Grand Prix. Sutil is accused of causing physical and grievous bodily harm to Eric Lux, a boss at Renault F1 owners Genii Capital. ‘In the view of the recent events which occurred in Shanghai on 17 April, Mr Eric Lux has decided to file a criminal complaint against Mr Adrian Sutil for physical assault and grievous bodily harm,’ Lux’s lawyers said in a statement yesterday. Facts are short on the incident, though it is known that Lux was left needing stitches following a confrontation with Sutil, who is accused of striking him with a champagne glass. The incident does not appear to place Sutil’s position at the team in any doubt, though that could well change were he to be found guility of the charges. The team has fellow German Nico Hulkenberg waiting on the sidelines should Sutil be forced to give up the seat. How much does is cost to build an F1 car?